Follow us - NZCFC Facebook Page. Congratulations to RYAN and MFNZ Ruru who were our 2018 NZCFC Men’s and Women’s tournament winners! Congratulations to Plate Winners, Poland, on their 3-0 win over neighbours Hermanos. Another Christchurch team, Irish Rovers beat Kaw Thoo Lei Brothers from Palmerston North in the Bowl Final and RYAN are again Champions with a 1-0 over Ethio-Lions. 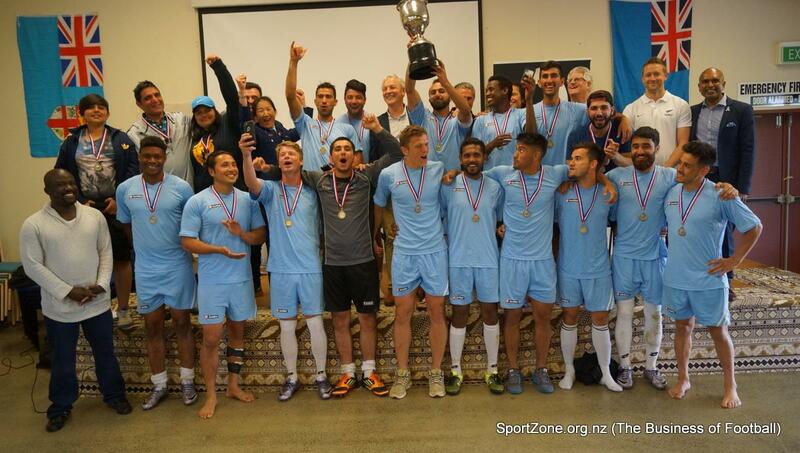 The New Zealand Communities Football Cup (NZCFC) was developed by New Zealand Police in 2008. The tournament uses young people’s passion for football to connect diverse communities, celebrate success and encourage positive social change. It is supported and endorsed by key regional and government agencies. Promote integration and positive community engagement amongst different communities and with government and local agencies. Provide an opportunity for community based teams to display their talents at a national level. Raise awareness of community issues such as family violence through messaging during the tournament. Address issues and solutions for local youth through the youth conference. Recruit participants to join police. Assist participants to realise their potential in sport and life. Community-based teams compete over a year to represent their region in the finals. There can be up to 1,000 games around the country leading up to the finals. Congratulations to RYAN, Ruru Women’s and South Auckland Youth who were our 2017 NZCFC Men’s, Women’s and U-13s tournament winners! Congratulations to RYAN Mt Roskill and a big thanks to Somalia Auckland for playing so well in a nail-biting final match, and to all of the men’s and women’s teams who participated in the spirit of the tournament.